SAN JOSE, Calif. — (BUSINESS WIRE) — April 26, 2019 — Frank Bertini, UAV and Robotics Business Manager at Velodyne Lidar, Inc. (booth #1420), will deliver a featured presentation on the business cases for 3D lidar technology in mobile mapping applications at AUVSI XPONENTIAL 2019, taking place on April 29 to May 2, at McCormick Place in Chicago. Bertini will discuss revenue-generating strategies created by adding lidar to drones, backpacks, and all-terrain vehicles (ATV) to build autonomous solutions. Bertini’s session, “Emerging Autonomous Applications for 3D Lidar,” will provide a technical overview of industrial applications for lidar onboard unmanned systems. The presentation focuses on emerging use-cases which are creating business opportunities in developing markets, including forestry management, utilities management, and surveying. The session takes place on Wednesday, May 1 from 2:00 p.m. to 2:30 p.m. in XPO Hall- Solutions Theater. SAN FRANCISCO, April 26, 2019 — (PRNewswire) — Iris Automation, an artificial intelligence and safety avionics company, today announced the launch of Casia – the first commercially available computer vision detect-and-avoid solution to enable Beyond Visual Line of Sight (BVLOS) operations for autonomous vehicles. For the first time, there's a system that allows an Unmanned Aircraft System (UAS) to truly understand the aviation environment around it as if a pilot were on board. 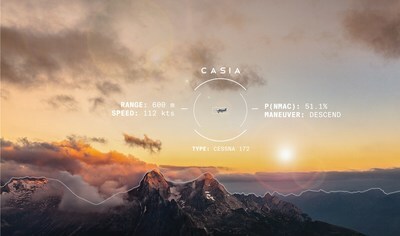 Casia detects other aircraft, uses machine learning to classify them, makes intelligent decisions about the threat they may pose to the vehicle, and triggers automated maneuvers to avoid collisions. Casia is a combination of both hardware and software that's ultra lightweight, low power and small in size. It comprises sophisticated artificial intelligence algorithms and software packaged in a self-contained supercomputer that works with a machine vision camera. Supply chains in Africa have caused deforestation by illegal cocoa farming, damaging protected rainforests and creating damage to the very viable cocoa industry. 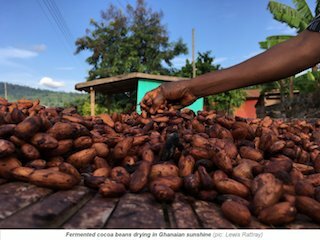 Using satellite derived information from the UK Space Agency’s Forests 2020 Project, led by Ecometrica, the Ghana Forestry Commission has been supported in the development of a landscape-level map that separates cocoa from forestry, which is critical to measure how cocoa is driving deforestation. According to company materials, African Governments and the world’s cocoa companies look to UK Space Agency’s International Partnership Programme’s Forests 2020 to provide reliable and accurate maps that map forest cover change and differentiate cocoa farms from natural forests. LAKE MARY, Fla., April 25, 2019 — (PRNewswire) — FARO® (NASDAQ: FARO), the world's most trusted source for 3D measurement and imaging solutions for 3D manufacturing, construction BIM, 3D design, public safety forensics, and photonics applications announced today that after the market closes on Wednesday, May 1, 2019 it will release its financial results for the first quarter of 2019. In conjunction with the release, Dr. Simon Raab, President and CEO, and Bob Seidel, Chief Financial Officer, will host a conference call and simultaneous live audio webcast on Thursday, May 2, 2019 at 8:15 a.m. Eastern Time. Persons wishing to access the conference call may do so by dialing (877) 876-9174 (U.S.) and (785) 424-1670 (International) and using the passcode FARO or by logging on at www.faro.com/Q1-2019earnings. Alternatively, you may also access the call via FARO's website, www.faro.com, clicking on Investor Relations, Conference Calls, and the relevant date. WESTMINSTER, CO, April 24, 2019 — (PRNewswire) — Toyota Research Institute-Advanced Development, Inc. (TRI-AD), Toyota's automated driving software development company, Maxar Technologies (NYSE: MAXR) (TSX: MAXR), a global technology innovator powering the new space economy, and NTT DATA Corporation, a leading IT services provider, today announced they will collaborate on a proof of concept to build automated high-definition (HD) maps for autonomous vehicles using high-resolution satellite imagery. This is an important move toward advancing TRI-AD's open software platform concept known as Automated Mapping Platform (AMP) and help realize the scalability of autonomous driving. Autonomous vehicles use several real-time sensors to ensure safe driving and these sensors need to be cross-referenced with an HD map for safe operation. According to TRI-AD analysis, currently HD maps cover less than 1% of the global road network1, and there is a need to increase the coverage of urban areas and local roads before autonomous vehicles can become a mainstream mobility technology. An HD map created from accurate satellite imagery allows the driving software to compare multiple data sources and signal the car to take action if needed to stay safe. DOWNERS GROVE, Ill., April 25, 2019 — (PRNewswire) — CompTIA, the leading trade association for the global technology industry, said today it will spotlight its growing presence in the commercial drone market at next week's AUVSI XPONENTIAL 2019 conference in Chicago. CompTIA (Booth #4822) will unveil new standards and best practices for the drone market; preview new research on business and partnership opportunities in the commercial drone market; and recruit members for a new drone special interest group that will be part of the CompTIA Emerging Technology Community. "With the guidance of our Drone Advisory Council we've been working diligently for many months on content that the commercial drone market has been asking for," said Annette Taber, vice president for industry outreach at CompTIA. "Now we're ready to take flight by becoming a valued partner within the commercial drone community." XPONENTIAL 2019 is the largest, most comprehensive trade show and conference in the unmanned systems industry, bringing 8,500 professionals together for information sharing, discussion and debate. SAN JOSE, Calif. — (BUSINESS WIRE) — April 25, 2019 — Velodyne Lidar, Inc. today announced an agreement with Nikon Corporation, under which Sendai Nikon Corporation, a Nikon subsidiary, will manufacture lidar sensors for Velodyne with plans to start mass production in the second half of 2019. 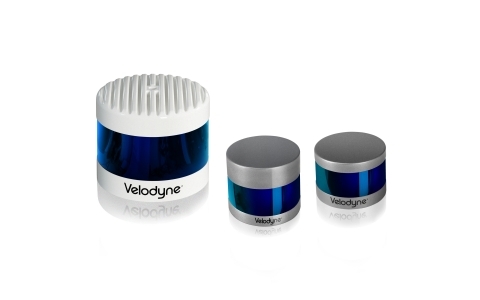 The partnership cements Velodyne’s manufacturing plan and expands its lead in the global lidar sensor market. Cheseaux, Switzerland, April 24 2019 – senseFly, the leading provider of fixed-wing drone solutions—in collaboration with drone engineering and consulting specialists AL Drones and geotechnology company Santiago & Cintra—is excited to announce that the National Civil Aviation Agency (ANAC) has approved BVLOS flights to be carried out in Brazil for the first time in the country’s history, using senseFly’s proprietary drone technology. ANAC’s decision means that the senseFly eBee Classic, eBee Classic RTK, eBee Plus and eBee SQ are now officially approved for use in future BVLOS missions carried out by Brazilian drone operators. As the first BVLOS approval ever achieved in the country, the announcement marks a pivotal point in Brazil’s commercial drone industry and will play an important role in defining risk models and shaping safe, fit-for-purpose BVLOS regulations in Brazil. Toulouse, 24 April 2019 – Airbus Defence and Space and Orbital Insight have expanded upon their partnership agreement to create Earth Monitor, a powerful change analysis and insights service which provides situation awareness over archived or newly tasked areas of interest. Earth Monitor, available through Airbus’ OneAtlas Platform, leverages Orbital Insight’s machine learning and computer vision expertise through powerful algorithms that detect changes in infrastructure and land use in near real-time, as well as identify and count cars, trucks and soon, aircraft. This advanced service fuses Airbus’ reactive tasking capabilities and premium archive imagery from the Living Library to offer access to advanced statistical analyses, trends and detection maps. RIEGL to Attend and Exhibit at AUVSI XPONENTIAL 2019!